We warmly welcome Mr. Seung-whan Song, founder of Cookin’ Nanta and Mr. Izumi Ozawa, former CEO of Gekidanshiki, as the keynote speakers for this Conference. Performing Arts is part of human culture. It is a medium of communication to different people. It expresses our feelings and thoughts in an artistic way. When people speak about musicals, their immediate reaction is Broadway, New York or West End, London. However, actually, Korean musicals are very independent and unique. The subject of discussion for this year is very exciting. Musical performances in Korea are contributing to the increase in number of visitors in Korea and they give strong impact to Korean tourism. 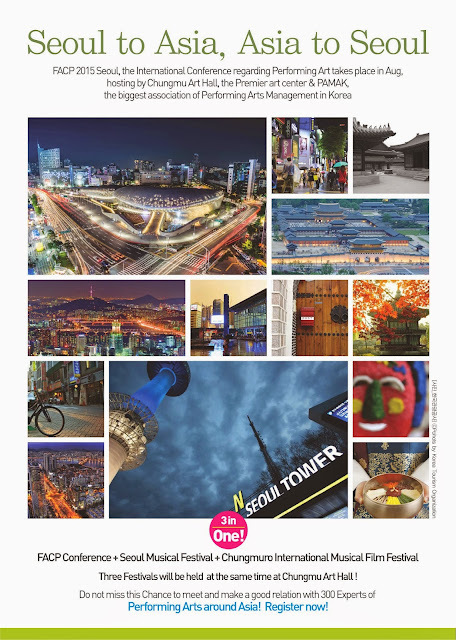 The musical performances in Korea have great advantage among all the other Asian countries, and we can learn a lot about the strategies and ideas of these musicals from Korean musical industry. I hope that you will all enjoy and have an exceptional experience at this year’s Conference in Seoul. I would like to express my thanks to all the FACP Seoul governors for all their big effort to put together this Conference.